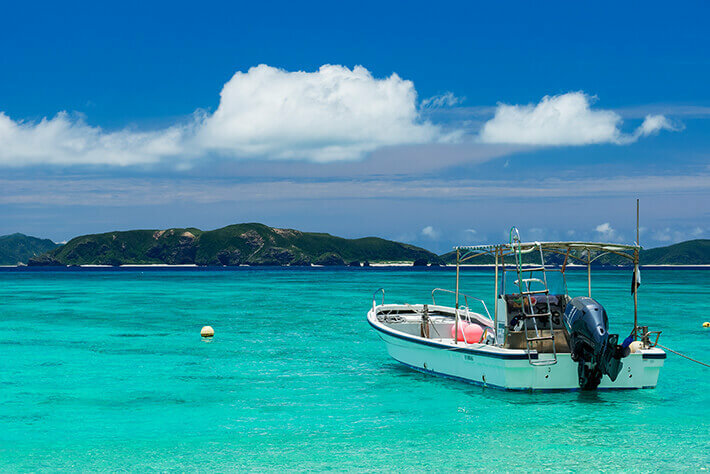 Tokashiki Island is approximately 70 minutes by ferry from the main island of Okinawa, where the Kerama Blue and abundant nature captivate visitors from around the world. 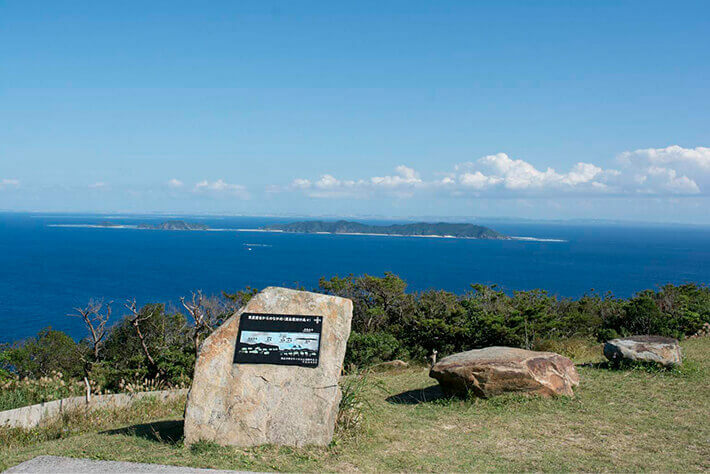 Tokashiki Island features a rugged landscape with well developed forests, where visitors can enjoy not only marine activities, but also trekking and nature walks. 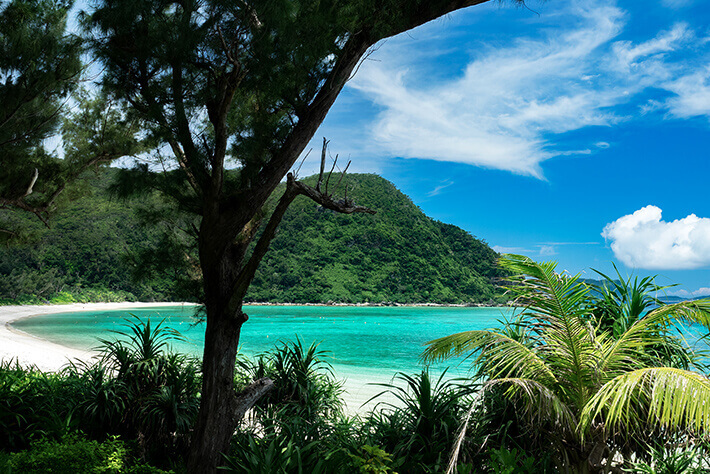 Among the Kerama Islands, which have been designated as a national park, Tokashiki Island has been praised for its efforts to promote ecotourism and has been selected as the place to nurture a world-class national park, diligently engaging in nature conservation activities including the preservation of coral reef. 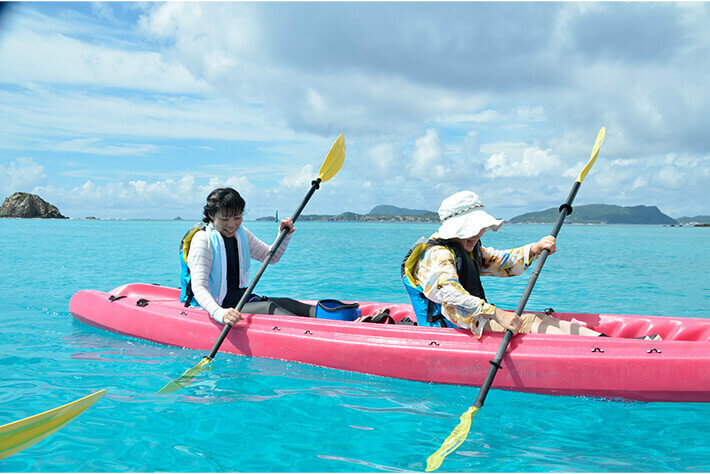 The sea surrounding the Kerama Islands is highly transparent, even from a global standard, and, for its stunning beauty, is referred to as Kerama Blue. Various sea creatures, from colorful coral to fish and sea turtles, inhabit the waters, which has long fascinated divers from around the world. Of course, diving isn’t all there that Tokashiki Island has to offer. Aharen Beach, representative of Tokashiki Island, and Tokashiku Beach, home to sea turtles, are breathtakingly beautiful. 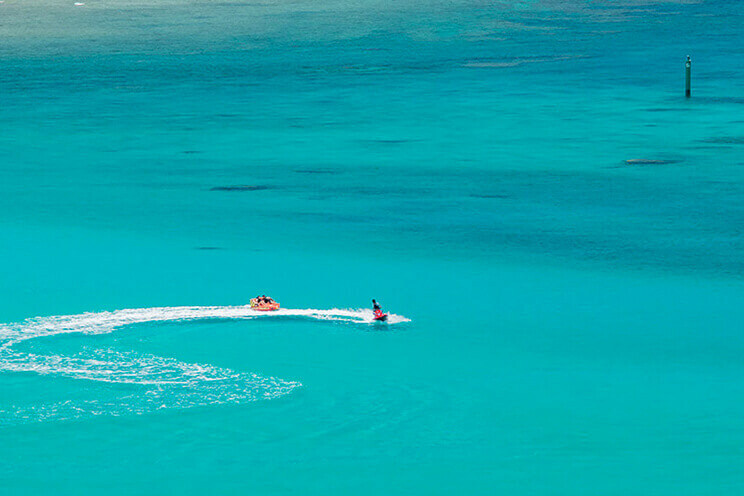 These two beaches provide an excellent location for marine leisure including snorkeling, SUP paddling, sea kayaking, and jet skiing. In 1972, the National House of Youth Exchange in Okinawa was established to commemorate the reversion of Okinawa to Japan. 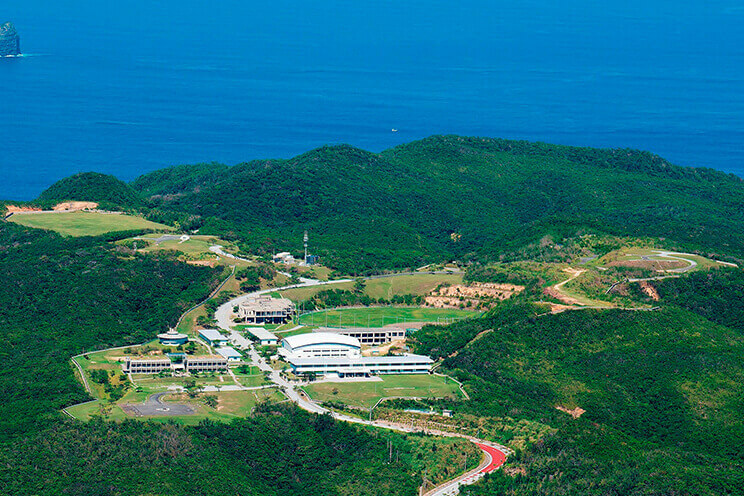 With the educational goal of “cultivating prosperous sensibilities and social skills among the youth by means of learning through hands-on activities on Tokashiki Island,” this facility supports a wide range of educational programs, as well as training activities for youth. The facilities are not only used by students and companies, but also by professional athletes on occasion. There are various programs related to sports, peace, and the ocean, and also accommodating facilities and a restaurant on site for guests. The facility is open to any guest who applies and presents a plan with a clear objective. 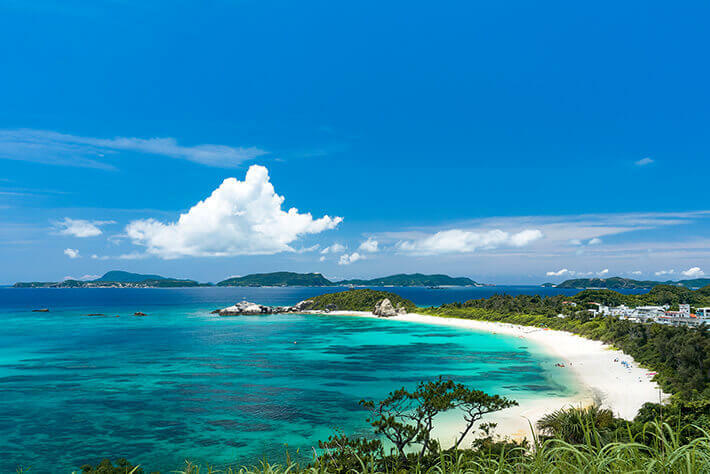 Most people may think of the beautiful sea and marine leisure when it comes to the Kerama Islands, but Tokashiki Island also offers abundant nature comprised of a range of mountains that exceed 200 meters in height from the central to the northern region. The lush nature has harbored a rich supply of water, which has supported rice cultivation for many years. 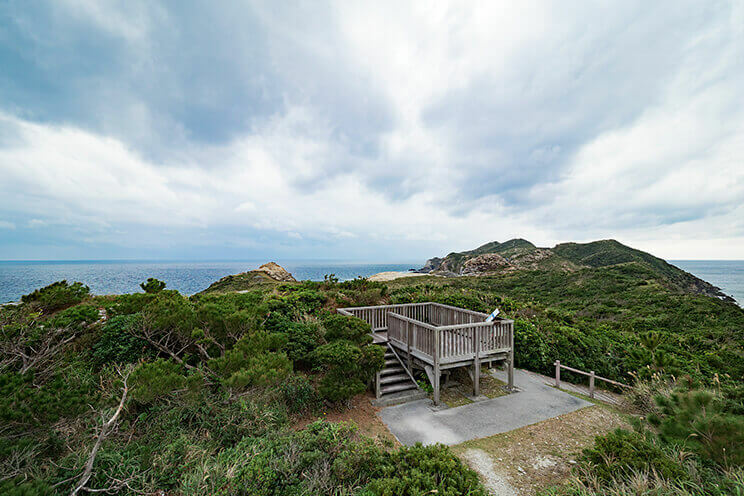 You can also explore the island to find seasonal flowers, from Easter lilies in the spring to winter cherry blossoms and Kerama azaleas in the winter. You will also find bougainvilleas, which bloom all the year round and vividly green Chinese fun palms flourishing. Take a stroll through the villages and you will find relief in the shade of fukugi trees. Tokashiki Island is a place that not only allows visitors to enjoy the sea, but also the abundant nature that the mountains have to offer.